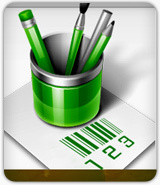 Barcode Label Design Software – Corporate Edition generate linear as well as 2D barcode labels. Barcode Program is designed with advance batch processing feature to generate multiple barcode labels, price tags and stickers. 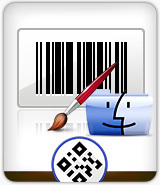 Mac Barcode Label Design Software – Corporate Edition creates and prints barcode labels, stickers, tags, and coupons on MAC OS X installed machine. Program provides flexible print settings to print designed barcode labels. Barcode label design software helps you to design and print various kinds of barcode labels, sticker, tags, coupons, rolls, ribbons. 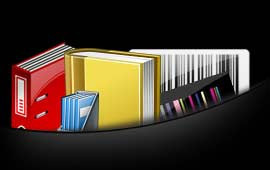 We provide different types of barcode software to make linear as well as 2D barcodes images for different organization. Our barcode generator program has capability to generate and print multiple numbers of barcodes images simultaneously using random, sequential and constant value series generating feature. 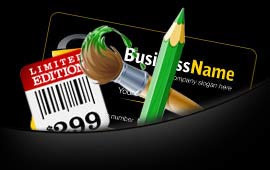 Card Label design software allows you to make labels, tags, flyers, leaflets, envelope, postcard, identity card, visiting card, greeting cards, business cards and other types of cards in few steps. We provide different card design software to make birthday card, invitation cards, business cards, ID cards and greeting cards with the help of advance designing tools.